Many experts believe that fights about water will dominate the future, as water becomes more in demand as populations grow, especially in urban areas, and warmer temperatures lead to more evaporation. Fox News posted a story this week about fears in Egypt due to the construction of a huge dam upstream on the Nile in Ethiopian. 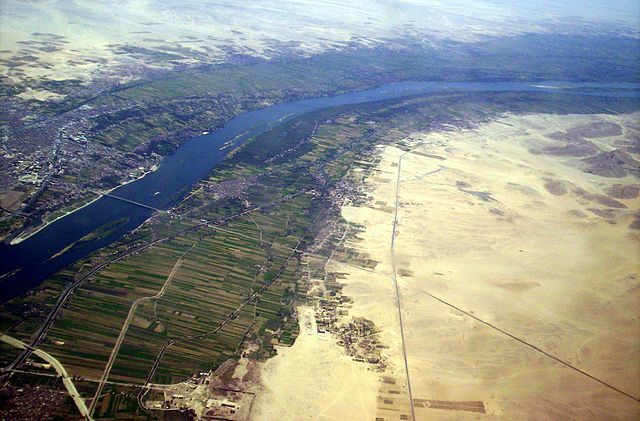 It is nearing completion and now the long period of filling the dam will begin, keeping the lifeline of Nile water from Egyptian farmers and most Egyptians, who live in the strip of land along the Nile. According to the story, there does not seem to be a regional management plan in place to ensure that all river users get access to the water they need, which could set up future conflicts. You can read the story at http://www.foxnews.com/world/2017/10/02/dam-upstream-leaves-egypt-fearing-for-its-lifeline-nile.html. Source: Bionet via Commons Wikimedia.